Balranald Inc and the 5 Rivers Outback Festival Committee wish to thank our wonderful sponsors for their generous financial & in-kind support. We wouldn't be able to stage this great festival without their backing. It is sincerely valued and much appreciated. Balranald Inc is a not-for-profit community development organisation established in 2007 by a passionate group of volunteers who were committed to improving the Balranald community economically, culturally & socially. Balranald Shire boasts a progressive well serviced and vibrant community that is committed to continued regional growth and sustainability. The Balranald Shire Council pursues opportunities to foster strong economic growth and thereby supports tourism initiatives and events such as the 5 Rivers Outback Festival. DISCOVER BALRANALD & SURROUNDS which supports and promotes tourism attractions and events throughout the Shire is committed to developing Balranald & Surrounds as a wonderful tourism destination. 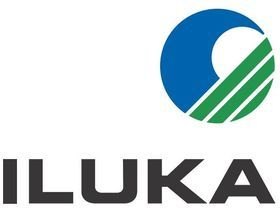 Iluka is a major global mineral sands resource company. It is involved in the exploration, project development, operations and marketing of mineral sands products. They are currently conducting feasibility studies in the West Balranald and Nepean in the northern Murray Basin, New South Wales. If proceeded with, the development at Balranald will form a major part of Iluka’s rutile production. NSW National Parks and Wildlife Service (NPWS) is part of the NSW Office of Environment and Heritage (OEH). NPWS manages more than 870 NSW national parks and reserves. NSW National Parks and Wildlife Service (NPWS) manages more than 870 protected areas in NSW, covering over 7 million hectares and representing more than 9 per cent of the land area of the state. This includes national parks, nature reserves, flora reserves, World Heritage areas, rainforests, beaches, alpine areas and sites of great cultural and historic significance. NPWS works closely with the Balranald Shire community with two major National Parks located within the shire – World Heritage Mungo National Park and picturesque Yanga National Park. A quarter of a century on from planting its first block, Andrew Peace Wines remains a proud family business and one of the largest family owned wineries in Australia. What started as a weekend escape transformed into a family passion. Through much toil of three Peace generations the 'country retreat' vineyard produced its first vintage in 1995 and a commercial winery was born. Every vintage since has accompanied another chapter of family life - celebrations, milestones and happy memories. Country Tracks 4WD Accessories & Exhaust Centre is located in Swan Hill and is renowned for offering a comprehensive range of accessories from the most credible and respected brands in the industry. There are accessories for any 4WD vehicle and any type of 4WD user. Customers have the option of having the accessories fitted on the premises, thereby saving them valuable time and money.